He may not make the PGA Tour, but he will feel like he has with this custom golf magazine cover. This personalized magazine cover is printed on a high-gloss paper using your digital picture (recommended pixel resolution/dpi is at least 800 x 800) and any custom name (up to 45 characters) and date. 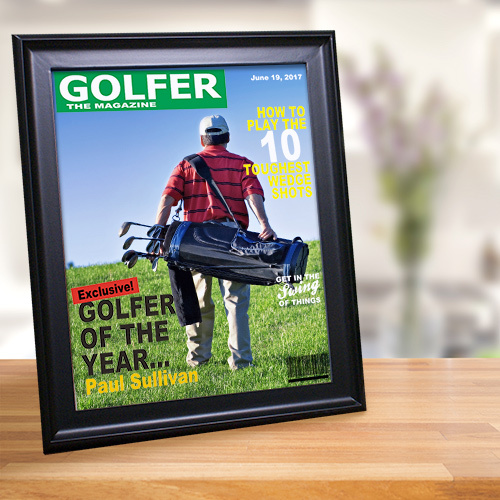 It is then placed into our 8" x 10" black frame, which can sit tabletop or be hung on the wall so your golfer can show off his fame.